Jerry Seinfeld is a comic giant. His TV show, Seinfeld, ruled the air waves for nine years, and achieved cult like status in the American pantheon of popular culture. Seinfeld lives in a posh Manhattan penthouse with a view of Central Park. He has three kids, a wife who is a best-selling cook book author, a fleet of cars, and more money in the bank than he could spend in ten lifetimes. And yet, at 58, an age when many comics loose their edge and begin to think about retiring, Seinfeld goes to his office early everyday and works at writing jokes. 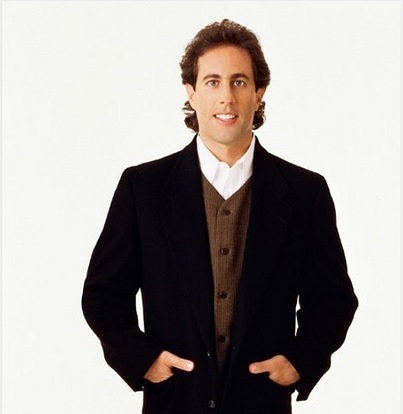 Moreover, in a recent interview in the New York Times Magazine, Seinfeld revealed that since 2000 he has done, on average, two stand-up shows a week. Some of these shows are in front of 14 to 20 people at a local Manhattan or Long Island club, some to 3000 people at a Midwest casino, and recently he performed for 20,000 in London. For Seinfeld creating jokes, telling jokes is an antidote to the trials and tribulations of life. Jokes, says Seinfeld, are a gift and a necessary medicine.